What are The Advantages of Hydroponic Gardening? 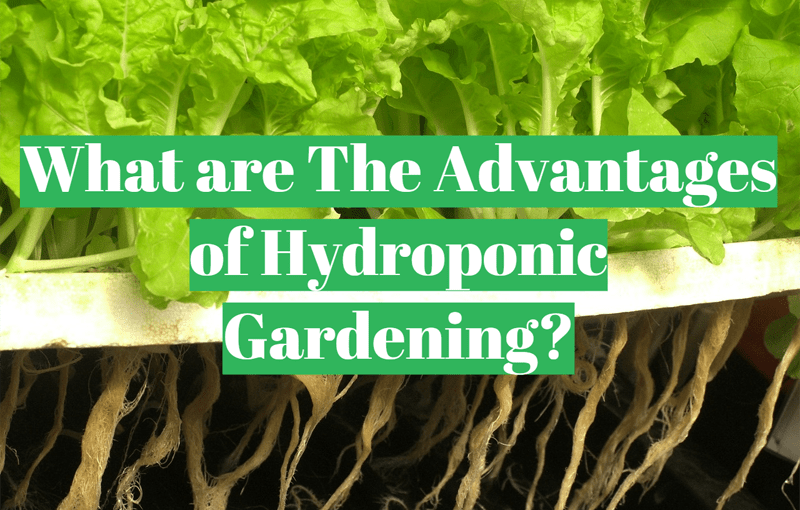 →What are The Advantages of Hydroponic Gardening? Should I embrace hydroponics? How can it benefit me? These are great questions to whet your appetite for new agricultural techniques. 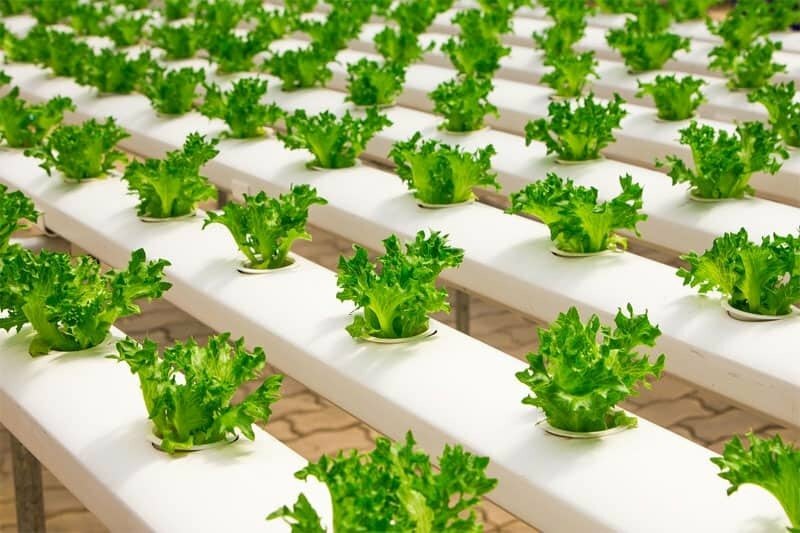 According to reports, the market for hydroponics products is expected to grow to impressive rates by 2022. But what accounts for this increasing predilection towards hydroponic gardening and its products? I’m just about to show you eight advantages of hydroponics. First, however, let’s explain what this new horticultural method is to beginners. Hydroponics is involves growing plants without using soil. Instead, plants grow in a mineral nutrient solution in water. Plant roots are suspended in water. Here they find the nutrients necessary for their growth directly by contact. Isn’t it an impressive agricultural technology? The conventional soil-based medium has lots of inefficiencies. This makes it challenging for plant roots to get a steady supply of nutrient. The result is a slower growth rate and a lower yield compared to hydroponics. I have earlier alluded to two of the benefits of this new horticultural method if you were keen. Now, I’ll be upfront with the rest. Hopefully, you’ll agree with me when I say hydroponics is the best way to go. Space in urban areas is too limited for soil-based gardening. This may limit you in terms of the number of vegetables, herbs or fruits you can grow - not so with hydroponics. The nutrient solution used in this system provides and maintains all the needs of plants. Thus plant roots won’t have to expand and spread out in search of nutrients, water, and oxygen. As long as you have the system, you can pretty much grow anywhere. Use your patio/balcony, spare bedroom, garage or other space. Besides, the spacing is not an issue. You can grow several plants in a small system and still get optimal yield from each of them. My grandfather taught me what all business students know. Human needs are limitless, but the resources to meet them are always scarce. So, I still seize any opportunity I get to save some money. Hydroponics offers gardeners an excellent way to do so. You will save in many ways. First, there are smaller DIY systems and easy-to-use starter options. There are also advanced hydroponic systems for professionals. You can easily find where you fit based on your budget. Second, you will spend nothing on soil preparation. There is no tilling, plowing, weeding and watering. You won’t also have to fumigate pests and weeds. Third, you won’t have to spend money on things like greenhouses, sunshades, fencing and so on if your budget is tight. It may sound ironical because hydroponics relies heavily on water. However, the system uses very little of it because water and nutrients are recycled and used again. A hydroponic system only uses 10% of the amount of water consumed in soil-based gardens. It is so even if you grow the same number of plants. You can do your part in environmental protection by going the hydroponics way. How? Some things we do in the name of mending soil fertility can harm the environment. Similarly, we pollute the environment when we apply herbicides, pesticides, insecticides, and fungicides our outdoor gardens. In hydroponics, no weeds will grow because you use no soils. Therefore, you won’t need any herbicides to kill weeds. Pest and diseases are also significantly reduced. So are the needs for pesticides, insecticides, and fungicides. Who does not want higher yields? Hydroponic systems are far more productive for their sizes. It’s because plants can use nutrients efficiently. Furthermore, plants tend to grow much faster in hydroponics systems than in soil-based gardens. Consider this – the growth rate of a plant on a hydroponic system is about 30 to 50 percent faster than on soil. But there’s a catch here. Your plants will do well only if you provide them with the best conditions for growth. Temperature, light, nutrients, and moisture must be optimal for maximum productivity. The world is crazy about living healthy by going organic. Do not miss out on this craze by going the hydroponics way. Due to the minimal use of chemicals on the hydroponic plants, they taste better and have more nutritional value than soil-grown plants. One study found that hydroponically grown plants are up to 50% more nutritious. It means 50 percent more vitamin (A, B, C, and E) content than those raised in a soil-based medium. We all want to be on top of any situation although only a few cares do admit it. Hydroponics gives you that opportunity. You will no longer be at the mercies of soil. You will be in charge of temperature, water, nutrient balance, and even light. What is the advantage? You’ll rapidly identify any imbalances and deficiencies that can affect the yield of your plants. The system makes it easier for you to flush and start over than traditional methods. One of the reasons I love hydroponics is that it offers me a way out of my boredom. You also stand to enjoy that benefit. After a long day of work and daily stress, you can retire back to your hydroponics garden. The serenity of the fresh green vegetables is irresistible. The bright colors of the ripening vegetable fruits are refreshing. And the aroma of the herbs and spices is rejuvenating. When you are bored, you can just check on your healthy plants and feel happy. All your stress will fly out the windows. Gardeners are quickly choosing hydroponics as their preferred method of home gardening. The reasons for the preference are its many benefits. Will you join other hydroponic gardeners and me in enjoying these benefits? Initial setup costs could range into hundreds of dollars. However, you do not have to start big if your budget cannot allow it. Use the smaller DIY hydroponic systems or better still the beginner options. When you are ready to go full scale, you will have had enough experience to grow a perfect hydroponics garden.